Our first decent count of meadow pipits this Autumn along with the first signs of finches on passage and alba wagtails moving S or SW rather than W. Peregrine pair seen together on the Clifton perches, another seen stooping over Bedminster and a passing early morning great black-backed gull. 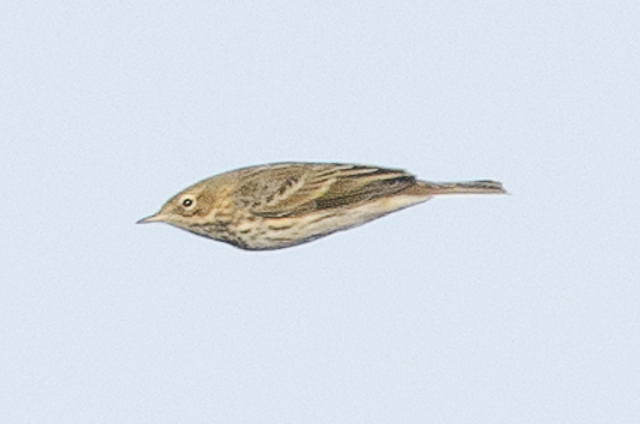 This entry was posted in Migration, Results and tagged bird, bristol, cabot, group, meadow, migration, pipit, study, tower, urban, visible by birdsoverbristol. Bookmark the permalink. c2500 Mipits through the Midlands this morning heading SW should bring a few more your way, in next few days! Not going to be out until Sunday, but could be an interesting one with the wind swinging round. Alex is ringing at a reserve by the Severn on Sat (http://www.portbury-wharf-ringing.co.uk), I think with mipit and chaffinch tapes too, so hopefully he should pick up a few!